Watch right now as the Vermont Department of Tourism and Marketing and the Vermont Chamber of Commerce declare me Public Enemy #1. 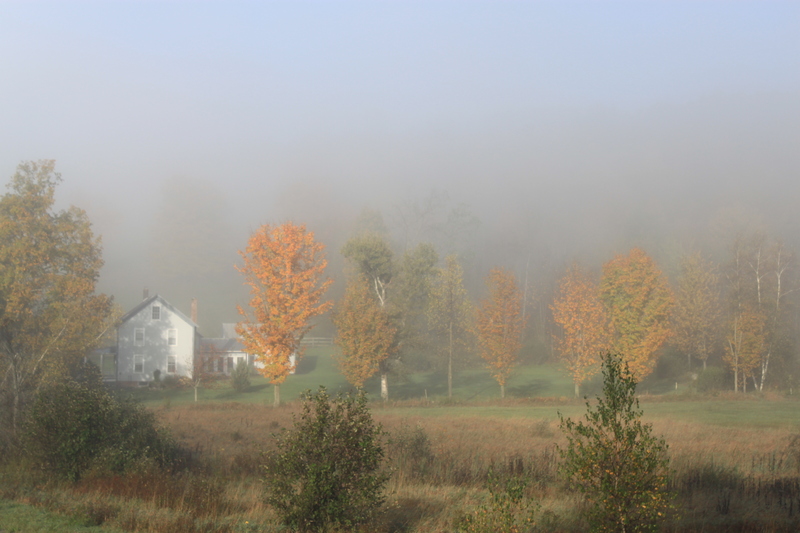 I took this shot of a farm and some fall foliage emerging from morning fog Sunday morning near Enosburg, Vt. So far, the foliage season to my eyes in Vermont is not the greatest. Jeff and I went leaf peeping in northern Vermont yesterday and we were not as impressed as last year. Oh, it’s definitely worth going out and seeing, but the colors so far are not as vibrant as they often are. There’s lots of subdued golds, ambers and subtle orange out there, but not the riot of color I see some years. 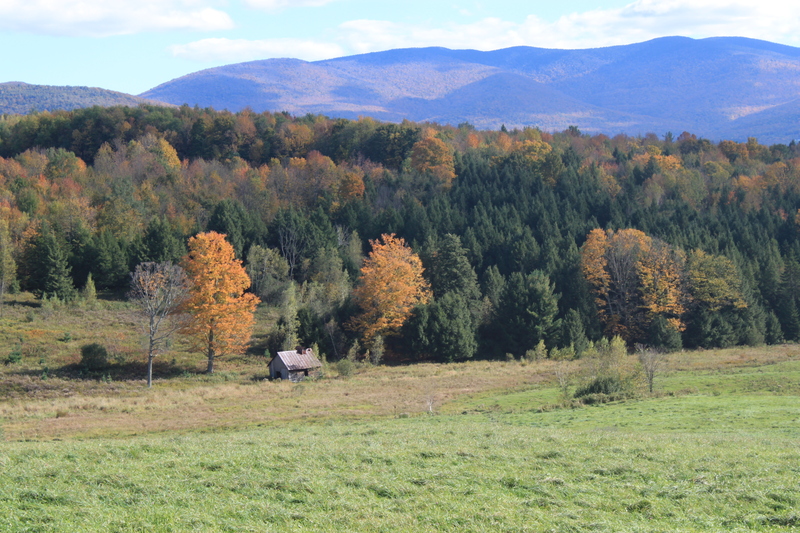 Some of the somewhat subdued Vermont fall colors I found Sunday near Enosburg, Vermont. Some years, most of the trees turn a nice construction zone warning sign orange. Some foliage seasons come late, some early. This year’s anyway, seems to be running about on schedule. 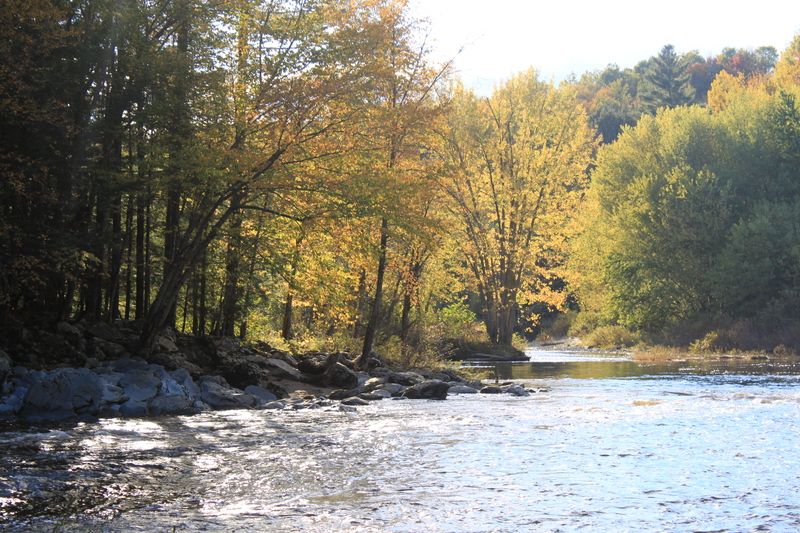 Some sunny autumn colors I found along the Missisquoi River near North Troy, Vermont Sunday. Who knows what happened this year? We did have that huge storm last Friday, with flooding rains and high winds, which surely stripped some foliage. If that’s the case, the leaves that are still green will turn bright colors and the foliage season will improve. The leaves came out way too early in the spring, and many got zapped by a May frost. Maybe that dulled things down a bit. Scientists at the University of Vermont have actually been studying what happens with fall foliage, but they definitely don’t have all the answers yet. The UVM scientist say stress on the trees can cause vibrant colors, so maybe this year the colors are a bit dull because the Vermont forests had a relaxing, enjoyable summer. 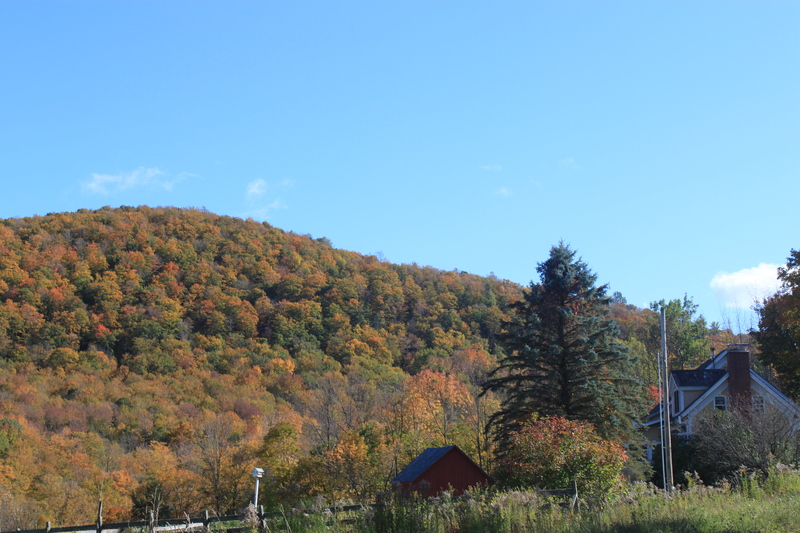 So, yes, it’s still worth coming to Vermont this year to see the foliage. You’ll just have to work a little harder to find that perfect autumn Kodak moment. This entry was posted on October 4, 2010 at 10:09 am and is filed under Uncategorized. You can follow any responses to this entry through the RSS 2.0 feed. You can leave a response, or trackback from your own site. I know, same here, a lot of great looking trees, but overall no fireworks!